Rest assured, Midwest Dental will never sell any of your personal information to 3rd party marketing organizations. This is true with the information we gather from our web site as well as through confidential records. We will safeguard, according to strict standards of security and confidentiality, nonpublic, personal information our customers or representatives of our customers share with us. "Nonpublic, personal information," for example, would include such information as your name, address, telephone number, social security number, date of birth, Website usage either online or on applications and other forms. 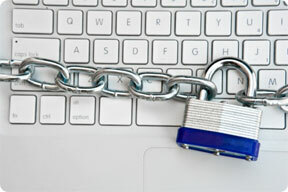 We will maintain safeguards, physical and electronic, to protect that information. We will conduct our business in a manner that keeps personal customer information secure. From your inquiries to Midwest Dental via phone, facsimile, Email, mail courier, or our Website; From your transactions with us, our web-affiliates or others. It is our policy that only authorized Midwest Dental employees who need to know your personal information will access and use it. Midwest Dental may contact you regarding fund solicitation, sales, or product deliveries. Midwest Dental workers who violate our Privacy Policies are subject to the disciplinary process. It is our policy that we will not share personal customer information (either current or former customers), outside Midwest Dental for any purpose other than to facilitate payment for services rendered either to the customers' insurance companies or to collection agencies, unless the disclosure has been authorized by the customer or is permitted or required by law. Whenever we retain other organizations to provide support services on behalf of Midwest Dental, we will require them to protect customers' personal information. All unsolicited suggestions, ideas, information or other submissions that are disclosed or communicated to Midwest Dental through the web site or via email shall become and remain the exclusive property of Midwest Dental. To help us keep your customer information up-to-date and accurate, please contact Midwest Dental if there is any change in your personal information. You can decide if you want to limit how we share personal information about you with unaffiliated third parties. If you do not want us to share your personal information or you would like to amend your personal information, telephone us at 1-800-766-2025. We use the information you provide about yourself when placing an order only to complete that order. We do not share this information with outside parties except to the extent necessary to complete that order. We use the information you provide about someone else when placing an order only to ship the product and to confirm delivery. We use return email addresses to answer the email we receive. Such addresses are not used for any other purpose and are not shared with outside parties. You can access all your personally identifiable information that we collect online and maintain by loging in to "my account". We use this procedure to better safeguard your information. You can correct factual errors in your personally identifiable information by sending us a request that credibly shows error.